Today is my second guest post of this blog tour. Some of you will known that my brother blogs under the Curious Archaeologist. He has the most eclectic and extraordinary way to link the unlinkable; for instance Jane Austen with Captain Kirk via Ramsey Macdonald to Walt Disney (believe me he’s already working that one out, even though I just made it up). So I really couldn’t think of anyone better placed that him to consider London and Victoriana. Take it away Gordon..
Victoriana means, according to the OED, Matters relating to the Victorian period, objects, buildings etc. So in a city which, despite the diligent work of the Luftwaffe and other property developers, contains an awful lot of nineteenth century buildings and other structures, what am I going to talk about? I puzzled for a while and then thought of – horse troughs! 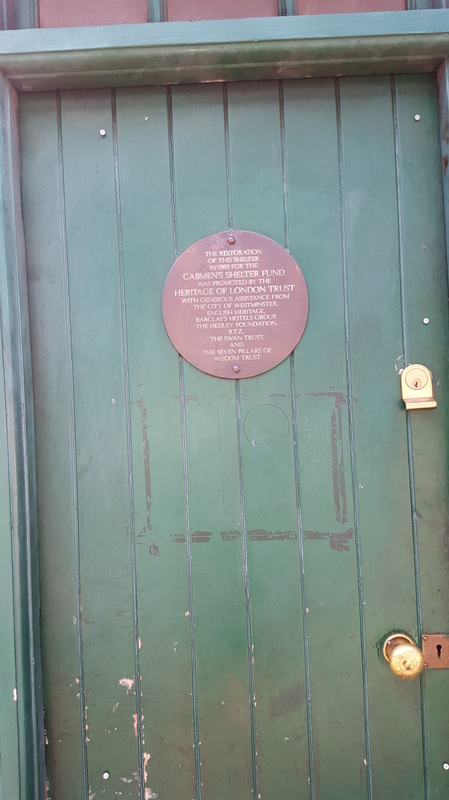 Most of the other Victoriana in the city is still in use for more or less its original function, warehouses might have become houses and houses offices but, like gates, lamp posts and statues are still functional. 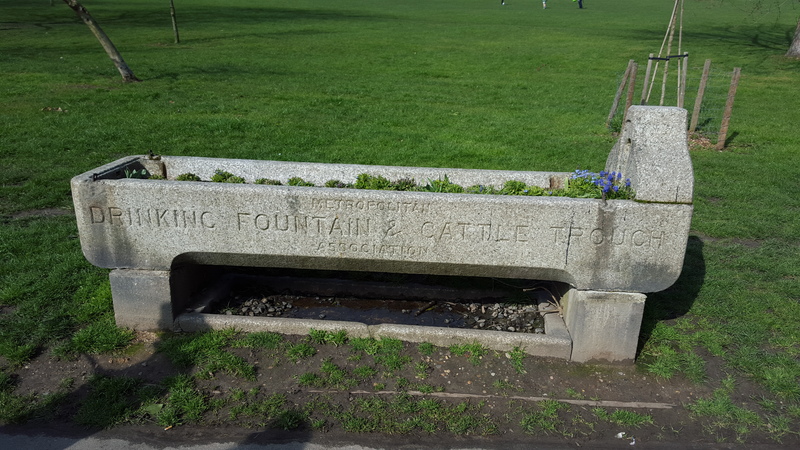 Horse troughs, though remind us of a long vanished aspect of city life, when every vehicle was only one or two horse power. Horses were so ubiquitous that when Mrs Patrick Campbell, the first Eliza Doolittle, was asked to comment on the immorality of some actors and actresses, replied that she didn’t mind what people did in the bedroom as long as they didn’t do it in the street and frighten the horses. However what horses did need, apart from protection from the sight of immoral thespians, was food and water. Food was brought into the city by Thames Barges, which could look like giant floating haystacks, but water was more problematic. 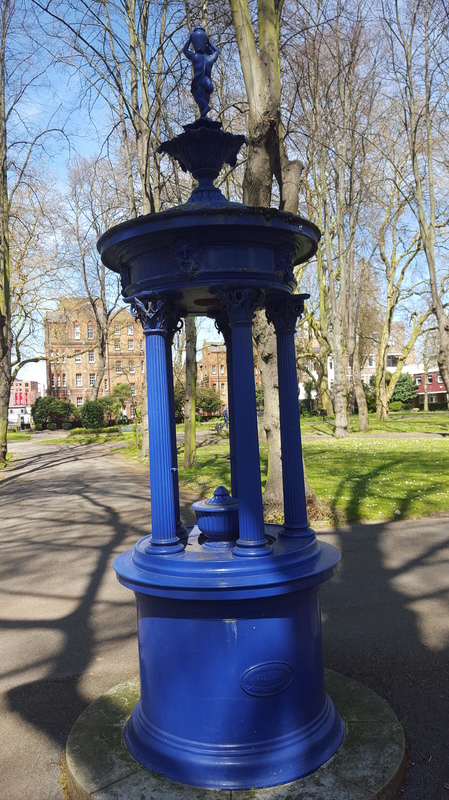 It was difficult for the driver to carry, and local people were often protective of the pumps which provided much of London’s water supplies. This being England, the sufferings of animals soon led to campaigns for their welfare. Publications calling for better animal welfare became best sellers (for example Black Beauty) and charities set up horse troughs all across the city to provide water for the labouring beasts. 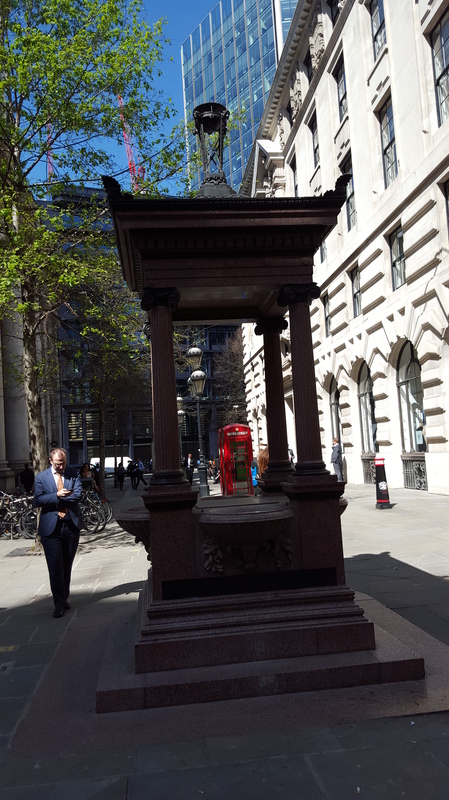 The horse troughs were followed by public drinking fountains, after all it was much more important to provide water for animals, than for people. Also, the temperance movement, stopping people drinking alcohol, was very influential, and they had something else to worry about where horse drawn cabs were concerned. Whilst waiting for fares, cab drivers had nowhere to go apart from pubs, drink driving was less of a problem in those days, as the horses didn’t drink alcohol. In fact they were often considered more intelligent than the drivers! 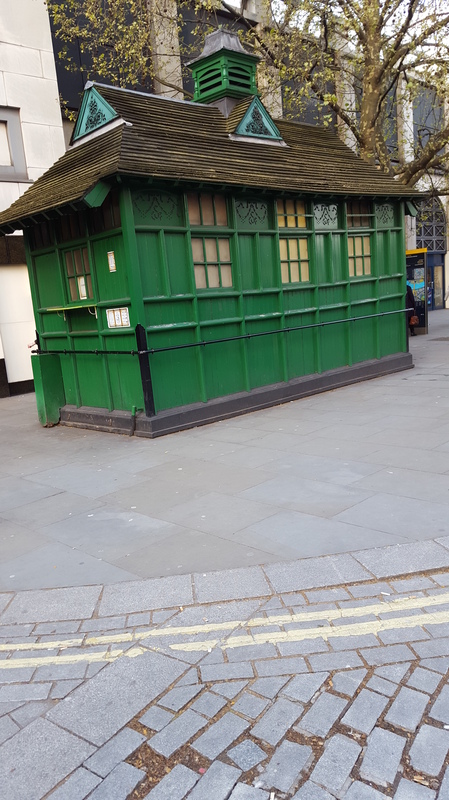 However people were concerned with cabbies drinking and so cabbies shelters were established, and these pieces of Victoriana still serve their original function shelter and non-alcoholic drinks for cab drivers. 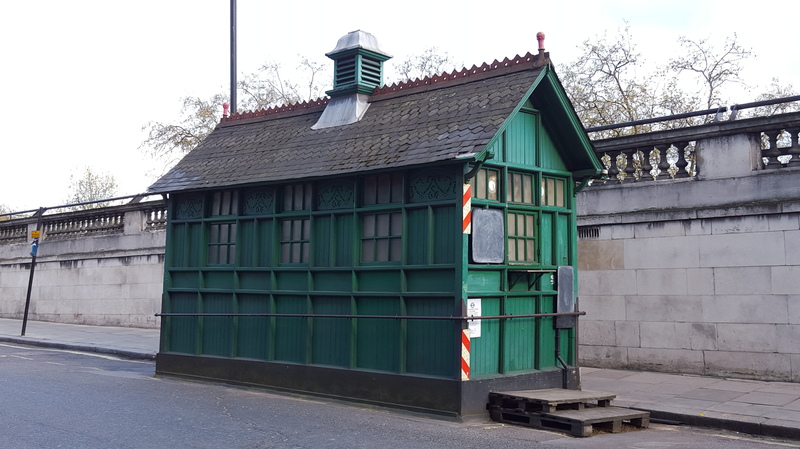 By the end of the nineteenth century the roads were crowded with horse drawn vehicles, needing massive amounts of food brought in, and producing masses of dung which was taken away by the Thames Barges which brought in the hay. Politicians were concerned, and were delighted when a new invention promised to speed up traffic in the city and massively reduce pollution. 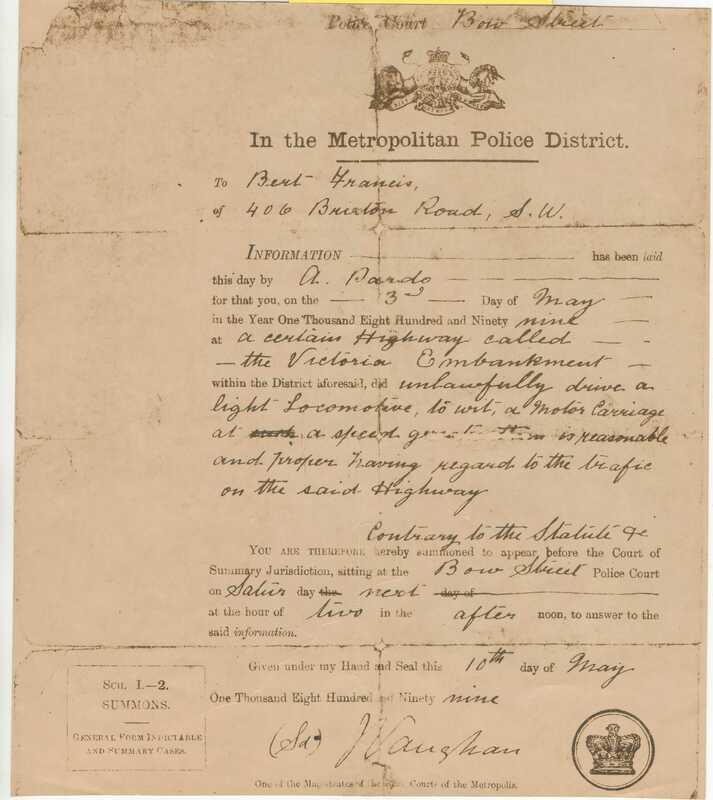 And here is my last piece of Victoriana, a speeding ticket issued to my great uncle Bert, who was caught travelling too fast (more than 8mph) on the embankment on 3rd May 1899. To have an ancestor who was caught speeding in the reign of Queen Victoria is a matter of family pride. 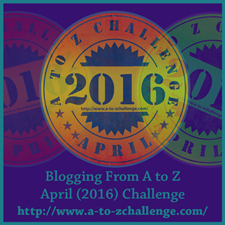 This is part of the 2016 A to Z Blogging challenge. Please click here to find your way to other participants. 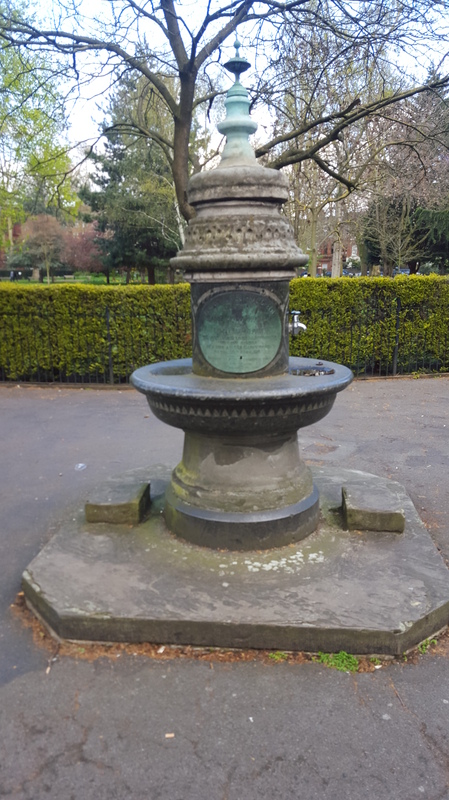 Link | This entry was posted in A to Z blogging challenge, challenge, London, miscellany and tagged #atozchallenge, A to Z blogging challenge, London, The Curious Archaeologist, victoriana. Bookmark the permalink. The speeding ticket, in particular, is awesome. I would have kept that around too. This was a great post. Geoff, I see that dry humour and silliness runs in your family, as well as being able to give a very interesting and compelling tour! I am not surprised that you are so proud of your Great Uncle Bert, and his ‘speeding’ ticket. He sounded a bit of a character! I loved the speeding ticket. 8mph.. what was he thinking? The family tradition is that he was caught by a policeman on a bicycle, as he had to peddle pretty hard he knew Uncle Bert must have been going too fast! What I don’t know, and would love to, is what sort of motor carriage he was driving. 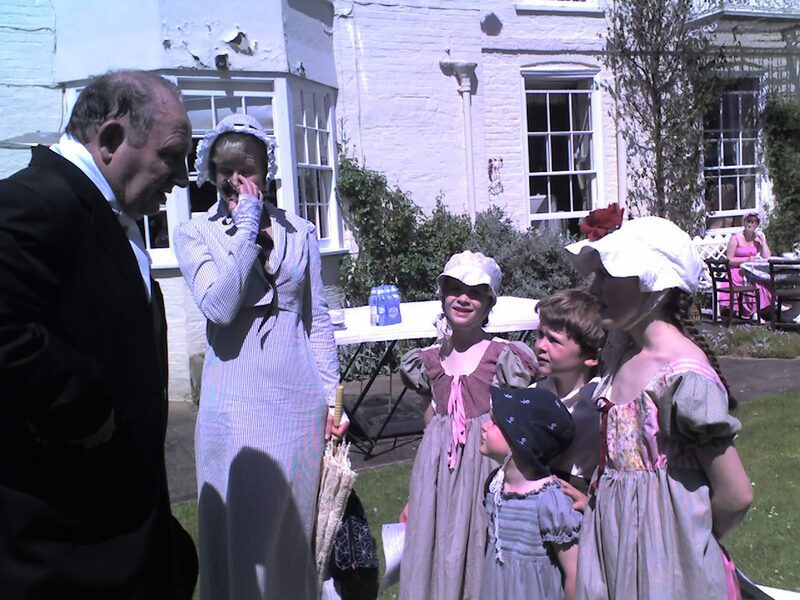 As for Jane Austen to Captain Kirk, well the obvious answer is via Jane’s brother Charles. Admiral Charles Austen was in command of the naval attack on Rangoon at the beginning of the Burmese war, under his command was the paddle steamer HMS Enterprise the first steam ship to fire a shot in battle. This was one of several vessels called Enterprise, a later one was the inspiration for Captain Kirk’s ship. (I cannot think of a link to Ramsey Macdonald or Walt Disney at the moment but I am sure I will). Ah well could we have guessed? ! Great post Brothers Le Pard! 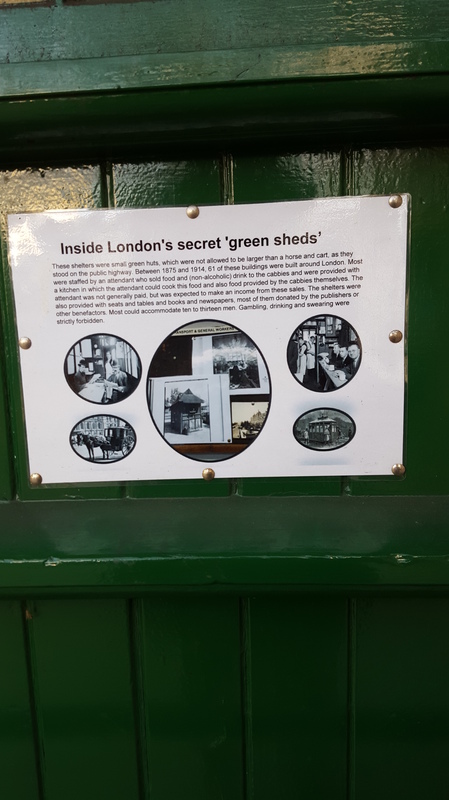 I feel particularly for the men who manned the secret green sheds – no wages, just trying to make a living from folk who were just as hard up as they were? It must have been a harsh life. I don’t recall seeing or hearing of these before – so interesting! And the speeding ticket? 😀 😀 😀 It’s good to know the great attitude to life goes way back! This is fantastic. 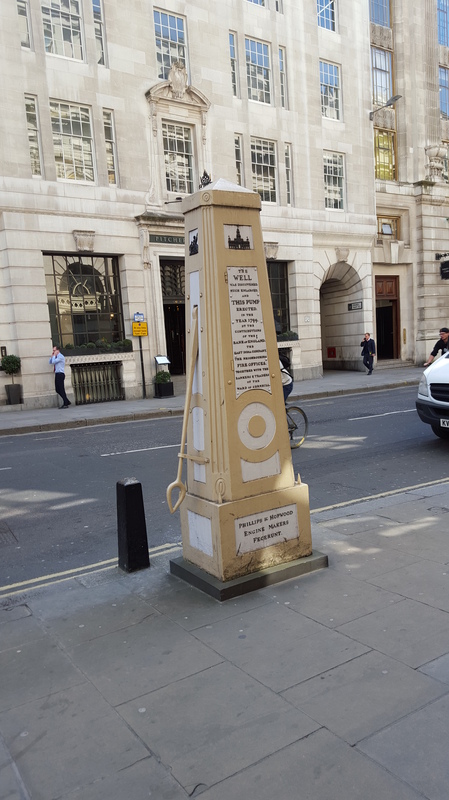 I wonder how many people walk by those every day without a thought as to the history. Great speeding ticket, too. Tsk. 8 mph. Reckless man! 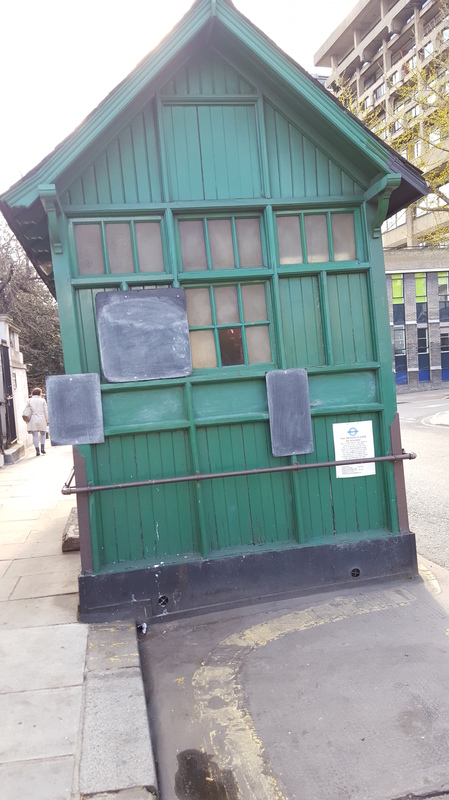 Lovely to think about the horses and carriages…but then there was all the poop! Thanks for this post, Geoff. I had a real “ah ha!” moment and think I’ve finally worked out what a structure in the Sydney CBD might have been. Ditto to all previous comments re the speeding ticket. Those declutterers are definitely missing out!